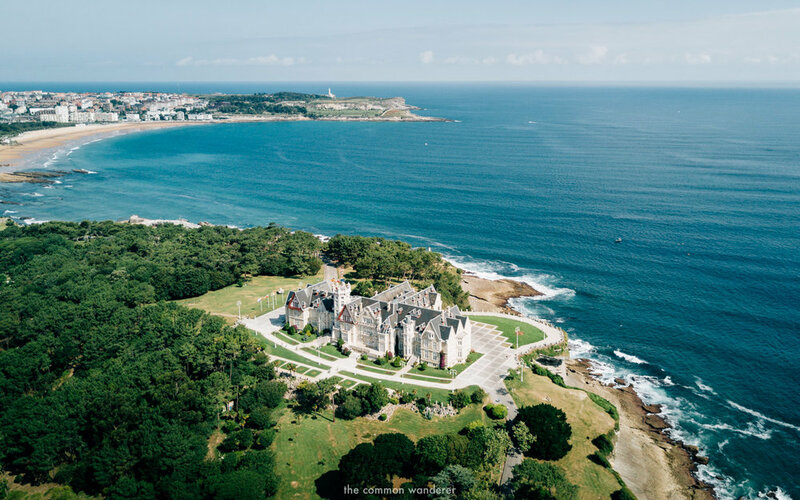 This is our guide to the best things to do in Santander, Spain. It includes all the stuff we loved, including the the best day trips from Santander, where to find the best tapas, which beaches you should visit, and more. Ahead of the boardwalk I’m wandering on lies the delightfully green Magdalena peninsula; to my right, the golden sands of Playa el Puntal beach. In the distance, the peaks of Cordillera Cantábrica are surrounded by low lying cloud, while Santander's shiny new tourism attraction, Centro Botin, sparkles in the pleasant morning sun. ‘This is a place I could actually live’, I muse, as a local cycles past me leisurely, no doubt enjoying another glorious morning in this part of the world. It's not often that I'm attracted to a city so quickly, especially one with such little fanfare. I knew nothing of this coastal city before my arrival. Yet after three days spent exploring every corner of Cantabria’s capital, I was hooked. There are certain things I always seek out in a new city; a strong local culture, vast natural beauty, an impressive gourmet scene, and most importantly, many beautiful golden beaches. By the looks of it, Santanderinos enjoy a good life, and for the weekend I was there, so did I. If you're after a weekend of the good life, or you’re simply after a fun little escape, visit Santander! And while you're there, make sure you check out these awesome things to do. Renzo Piano's newest architectural masterpiece, Centro Botin, opened to much fanfare in June, and is poised to become a major art destination, similar to the Guggenheim in nearby Bilbao. The building itself is impressive, divided into two sides with interconnecting bridges, covered in over 300,000 pearlescent discs, and featuring many vantage points. But it’s the exhibitions that excited me the most. Carsten Holler’s installation, Y, will take you on a weird journey of individual choices. Objects designed to enhance our sense of orientation, restriction and displacement literally blew my mind, and provided a thrill other art galleries rarely do. There’s also a collection of famous Spanish painter and illustrator, Francisco De Goya’s, drawings. You can view the most up to date exhibition schedule here. When you’ve finished admiring art and architecture, stop for a coffee and pastry at El Muelle, housed on the ground floor of Centro Botin. 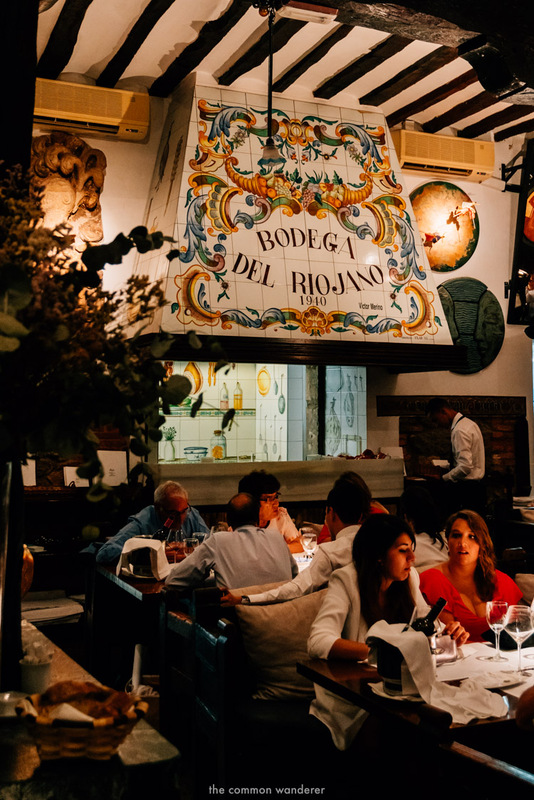 The Spanish know how to do food, and the Cantabrians know how to do really good food. Tapas bars exist all over Santander, serving delightful dishes formed of incredibly fresh local ingredients. Local specialities include pescado y marisco - unfortunately wasted on me as I don’t eat seafood, yet I can vouch for the delicious patatas bravas, croquetas, tortilla de patatas, and mushrooms in garlic oil. Standouts include 'La Tuta' on Calle del Medio (read reviews here), which does ridiculously good (and cheap) croquetas, and 'Bodega del Riojano' (read reviews here), a rustic dining room lined with colourful wine barrels painted by the hands of contemporary artists, including Picasso, in return for food. Try the sharing platters! For lovers of seafood, everywhere is good. Hands down the best thing I did in Santander was to walk along the rugged Atlantic coastline. The air was fresh, the scenery breathtaking, and best of all, I had (almost) the entire walk to myself. Starting at El Faro lighthouse (Faro de Cabo Mayor), follow the coastline all the way to the little town of La Maruca, where you can stop for a well deserved seafood lunch and beer (I had vegetarian tapas, which was still great!). Along the way, stop in at various hidden coves for a quick swim, or admire the stunning coastal views. Although challenging in parts, the walk is leisurely; just take enough water, and a snack or two. After a lifetime spent enjoying the coastlines back home in Australia, I know a good beach when I see one. And El Sardinero is a good beach. A very good beach. Its golden sands draw many visitors to Santander, and for good reason; it’s a stunning stretch of sand with crystal clear waters. Placed in Sydney or Rio, El Sardinero would be considered one of the world’s great city beaches. El Sardinero beach comprises of two large, golden swathes of sand; each about a kilometre long, divided by a beautiful lookout point. If you're keen on learning how to surf, El Sardinero is a great place to try, and Escuela de Surf have a week long surf lesson from €130, or €50 for a 2-hour private class. 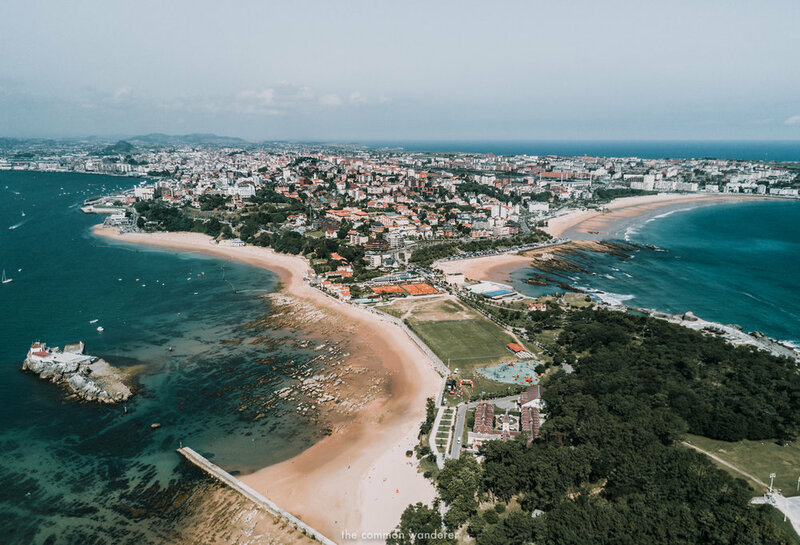 On a warm summer's day there’s nothing better to do in Santander, so if the weather gods are on your side, jump aboard the city bus and head straight here. Playa de Mataleñas is a short walk away, and equally stunning. A short bus ride from the city (or a wonderful morning walk) lies Magdalena Peninsula. With 24.5 hectares of parkland perfect for picnics or leisurely walks, the peninsula is also home to the beautiful Palacio de la Magdalena. A former royal palace built in the 20th century, its interiors are opulent, its gardens expansive (entry is €3 per person). There are also many attractive beaches, such as Playa de Bikinis, and Playa de Magdelana, which are far quieter than the popular El Sardinero and Playa de Mataleñas. 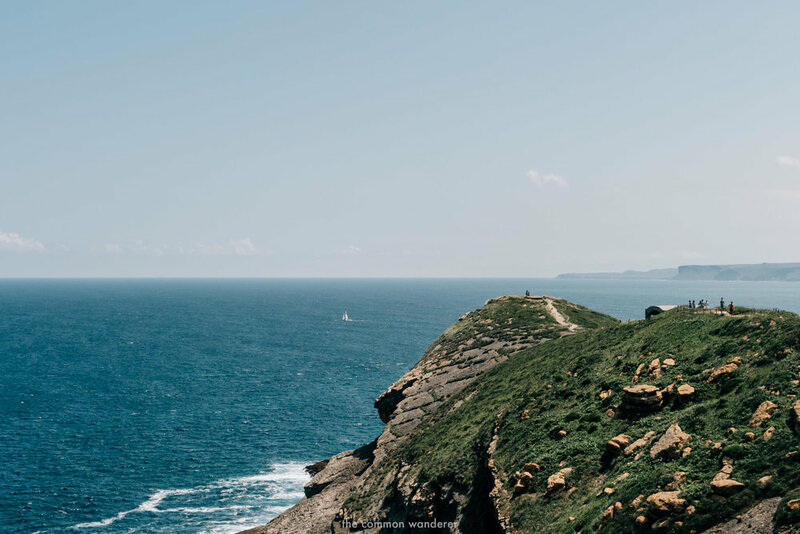 But for me, the best reason to visit were the incredible views overlooking Isla de Mouro, the Santander coastline to El Sardinero beach, and the Bay of Santander. Although i didn’t try all possible ice cream options in Santander, i tried enough to know Santandineros know what they’re doing! 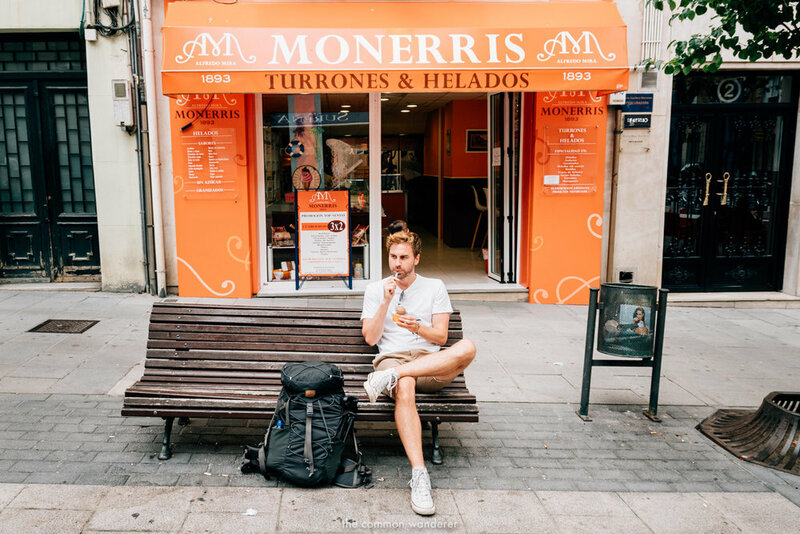 Grab a delicious, creamy ice cream (raspberry cheesecake was my favourite) from Santander favourites Regma (read reviews here), Capri or my personal favourite, Monerris Helados (read reviews here), and then head on down the beautiful Pereda Promenade. It’s the perfect place to enjoy your flavours, while watching as the locals go about their weekends. I’m certainly not the most religious of folk, but I do love exploring good church, and the Santander cathedral is well worth the visit. Construction began in the 13th century and the lower part consists of the Church of El Cristo, the oldest monument in the city, and one of the most interesting churches we’ve been to. Not only is it small, with very low lying ceilings, it also houses Roman remains of a hot spring resort. Part of the Cathedral had to be rebuilt after the fire of ‘41, but it still maintains the grandiose you’d expect from one the oldest buildings in the city. You can’t come to Santander and not go for a drink or two in the lively Plaza de Cañadío. Brimming with a number of bars and restaurants, the plaza comes alive during the summer nights, with locals sipping on the finest wines and ales. 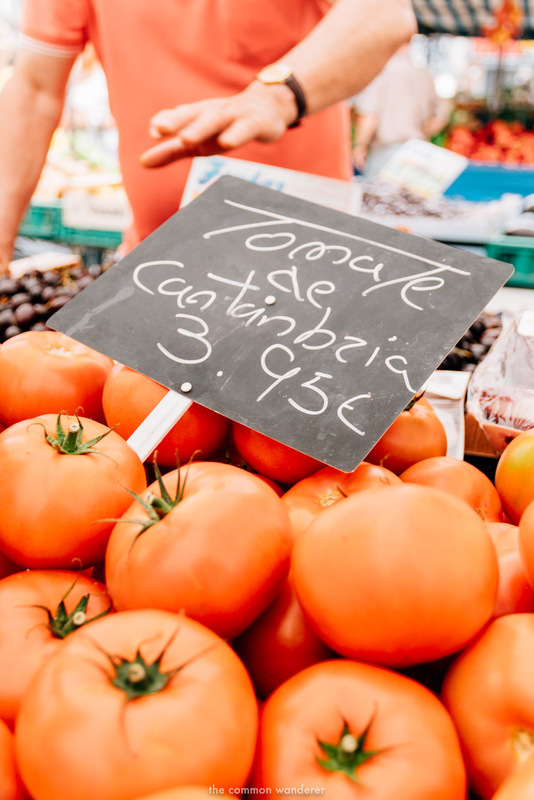 Each Saturday morning, the Mercado de la Esperanza (meaning 'Market of Hope') comes alive with market stalls selling the very best of Cantabrian produce. 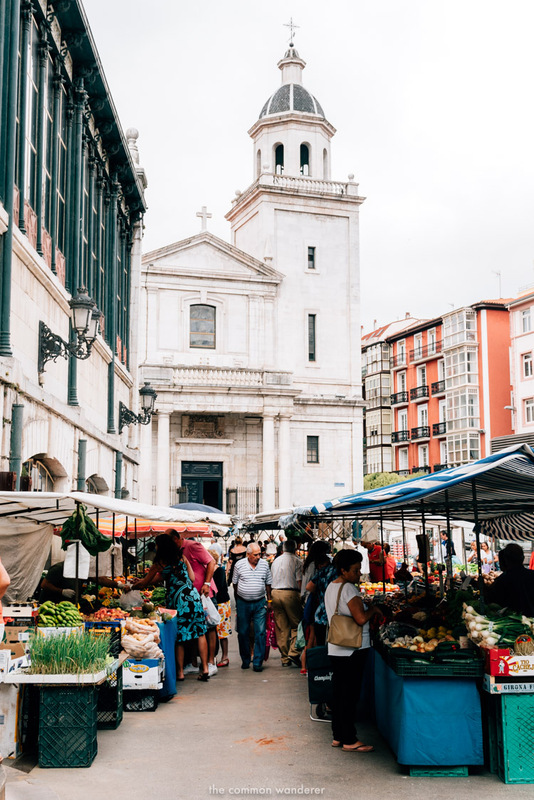 Housed in a 19th century cast-iron structure behind Santander's town hall, you'll find everything from fresh seafood and meats, to fruits, vegetables and flowers. Moreover, the atmosphere in the markets is buzzing with the sound of locals calling to each other and stall owners singing their wares. I managed to pick up some seriously large and tasty cherries, and a few other stone fruits for next to no Euro. Perfect. Like almost all cities around the world, City Sightseeing has a hop on, hop off tour which offers you the best opportunity to see all the main sights in the city. There are also a heap of locally run tours which can be booked through the tourism office located in Mercado Del Este in the city centre. We stayed at the four-star Silken Coliseum hotel, located in downtown Santander, and just a short stroll from all the major attractions. While catering mostly to a business clientele, the rooms were large and comfortable, while the breakfast was excellent. To book, or to discover more, click here. Book Santander Central Hostel here, or read Tripadvisor reviews here. Alternatively, jump on a hop-on-hop-off guided tourist sightseeing bus - a 1-day pass starts at £13. Have you visited this little gem in Northern Spain? What were your favourite things to do in Santander? Let us know in the comments! Planning a visit to Santander? Save or Pin this post! LOVE SPAIN? YOU'LL PROBABLY LOVE THESE Posts TOO! We were hosted by Spain Tourism and Cantabria Tourism as part of the #SpainCities campaign. A big thank you to the team for making our stay memorable. As always, all views are our own.